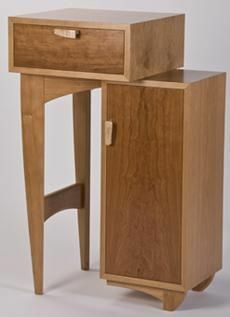 A cherry cabinet with a drawer. The drawer uses soft close glids, this keeps the drawer from slaming. Its kind of an anything you want it to be cabinet. It can be used as a disply stand with storage etc. Dimensions: Dimensions are 36" high by 24" wide by 17" deep.